3CX Phone Systems for Windows is a software focussed Windows PABX that works with Session Initiation Protocol standard based IP Phones, Session Initiation Protocol trunks and Voice over IP Gateways to provide a full PBX platform. 3CX is renowned for its innovation and pioneering technology, and is used by more than 30,000 companies worldwide. 3CX Phone Systems runs on Windows, which makes it easy for Windows IT administrators to install and manage, without any special telecommunications or Linux skills. Because it is pre-configured to accommodate widely used IP Phones, SIP trunks and VoIP Gateways, it saves you the trouble of having to configure and manage these devices. 3CX Phone System users can use their office extension from anywhere with the help of the 3CX client application, which can be installed on smartphones and MAC or Windows laptops. All calls to the office is free of charge and employees can benefit by using one single number and so make a professional impression. With 3CX phone systems, you can reduce your company’s telephone costs by up to 80%, by leveraging SIP trunks, WebRTC (Web Real-Time Communications), free calling to remote extensions and offices and reducing the number of fixed telephone lines. With the CRM integration, agents get a customer name rather than a number. 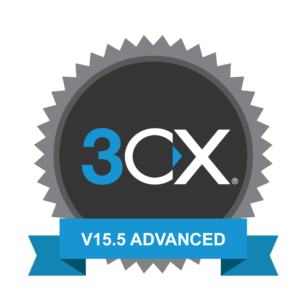 For more information on 3CX click here.